The 2009 world boxing championships were held in Milan, Italy from September 1 to September 12 2009. 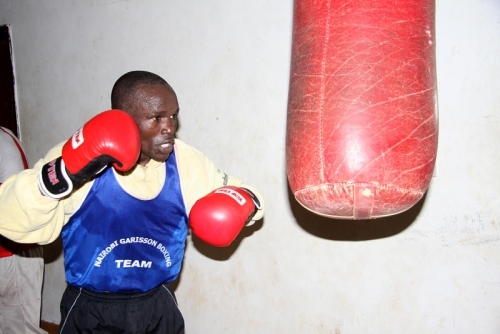 Kenya sent a team of ten boxers and won a total of three bouts. Peter Mungai, Nick Okoth and Joshua Ndere Makonjio each won one bout. Russia emerged as the top nation with two gold medals followed by Italy with two and Cuba with one. No African nation won a medal. 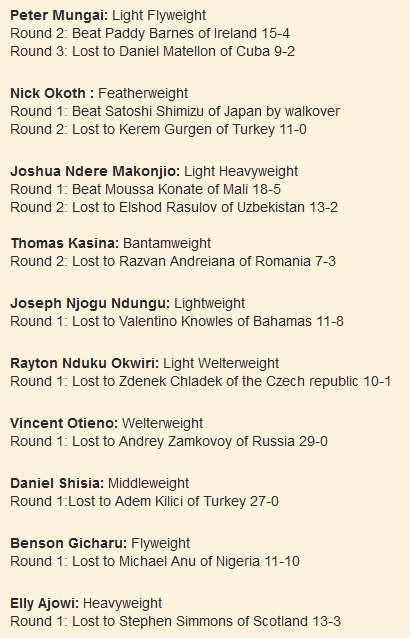 This entry was posted in kenya boxing, kenya boxing results, Kenya Sports news and commentary and tagged daniel shisia, joseph njogu ndungu, Joshua Ndere Makonjio, Kenya Boxing, nick okoth, peter mungai, rayton okwiri, thomas kasina, vincent otieno. Bookmark the permalink.